Halstead launched a large campaign to introduce the community to the new company with Facebook Ads and Google Ads. In this case study, we share our Facebook Ads efforts. We created multiple campaigns with various goals — conversion (form submissions on website), traffic, and others. We used the voices of the company’s existing clients to tell their story to create ads that tackled real selling points that would resonate with prospects. Our most successful campaign was the messaging on Facebook. The ideal goal was to reach a potential client who met the company’s specified demographics. Over approximately six-month period, we were able to bring the company 100 Facebook messages at about $15/message. That’s $15 a lead! This is a for a brand-new company, with almost zero online reputation. You might be wondering, well, were these messages from people who met those demographics? And what are those demographics? 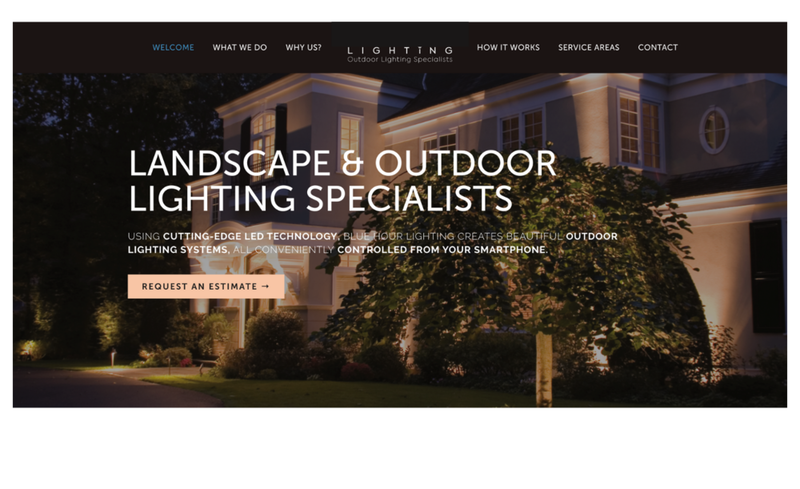 We experimented with several audiences, some who have landscape lighting interests, other who do not, as well as people with a mix of various interests. Our main focus was to make sure the target could afford a higher-end lighting project. The winning audience? Here it is, by far, the audience that generated the most Facebook messages. While we won’t reveal the entire winning campaign setup — here is one of the best ads. Let’s talk about your Facebook ads.